Akshay Kumar wishes his son Aarav with the cutest birthday post! Khiladi of Bollywood Akshay Kumar has wished his son Aarav a very happy birthday. To extend his best wishes, Akshay posted a selfie with his son with a caption that is relatable to every father. The 2.0 actor blessed his son to have everything that he himself could not have. Star kid Aarav turned 16 today i.e September 15. Akshay Kumar is well known for keeping it simple and real. Even his birthday wish for his son is as real as his own persona. Akshay Kumar and wife Twinkle Khanna wished their son Aarav Kumar a very happy birthday. 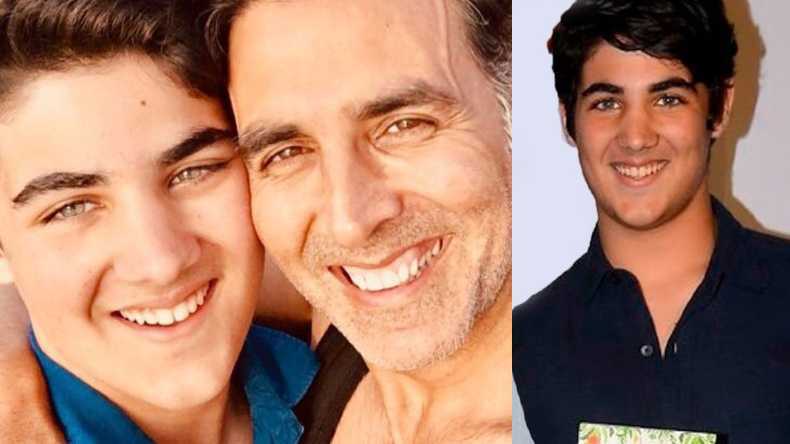 In the birthday post, Akshay is wishing his son like a doting father and stated that he is taller than him, wealthier than him and nicer than him. He blessed his son with all the happiness in life and also said that he wishes his son to have everything the actor himself did not possess. Khiladi Kumar has always proved to be a good father despite a jam-packed work schedule. The junior Khiladi Kumar turned 16 this year. On the occasion of Aarav’s birthday, Mrs Funnybones also expressed her sadness on not being present on her son’s special day. Twinkle sent out her heartfelt wish on twitter with an emotional post. In the post, she stated that this is the first birthday of Aarav that she will be missing as she is out of her city Mumbai. Expressing her sadness into words, Twinkle tweeted that they have spent 15 birthdays of her son Aarav enjoying together and this first birthday is making her feel terribly sad as they are apart on this special occasion. Although the mother’s heart-warming wish melted many hearts, Akshay’s wish won the internet. His wish is the cutest birthday wish of the season for his pride, his son Aarav. He is basically every father ever, showering his son with lots of blessings. ALSO READ: What! Sapna Choudhary’s dance on Haryanvi song Teri Aakhya Ka Yo Kajal garners more than 250 million viewers on Youtube, let’s watch it! Akshay Kumar also posted a photo along with the wish which is the adorable selfie of the Father-Son duo. The uncanny resemblance in their appearance is unmissable. A glimpse of this star kid is enough to predict that he will win millions of heart if he steps into the Bollywood town. Star kid Aarav along with his little sister Nitara are always spotted in the posts and stories of their happening parents – Akshay Kumar and Twinkle Khanna. Every picture with these kids grab a lot of buzz on social media, all credits to the extreme cuteness.